Across The Ice at the Vancouver Int’l Mountain Film Festival! Sebastian’s documentary chronicling his and Eric McNair-Landry’s record setting crossing of Greenland will play at the Vancouver International Mountain Film Festival on February 14th, 2015. This will be the first official screening of the film which was co-produced by Red Bull Media House. 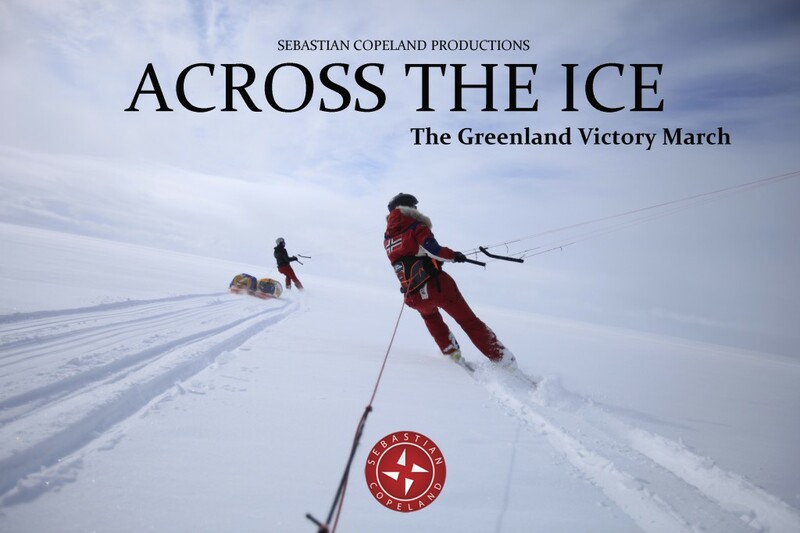 Across The Ice–The Greenland Victory March (2015) will be released later this year on DVD. The expedition, covering 2300 km of the Greenland’s south to north axis on skis and kites, lasted 42 days. The team faced a ferocious storm which had them pinned down in their tents for seven consecutive days and nights! On June 5, 2010, the team completed a 24 hour run which netted them a new Guinness Book World Record for the longest distance traveled in 24 hours, with 595km. The riveting blog from the expedition can be read on this very site, here! You can view a trailer of the film by visiting the festival’s webpage here.